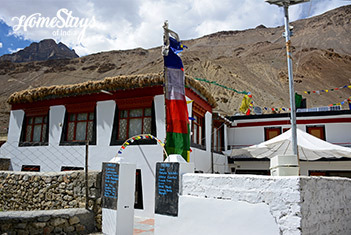 In a dramatic valley setting hemmed in by scree slopes, 48km southeast of Kaza, is situated Tabo, second largest town of Spiti and a fine place to kick back for a couple of days. It is usually used as a base for journey to Dhankar, Lha-Lun and the Pin Valley. 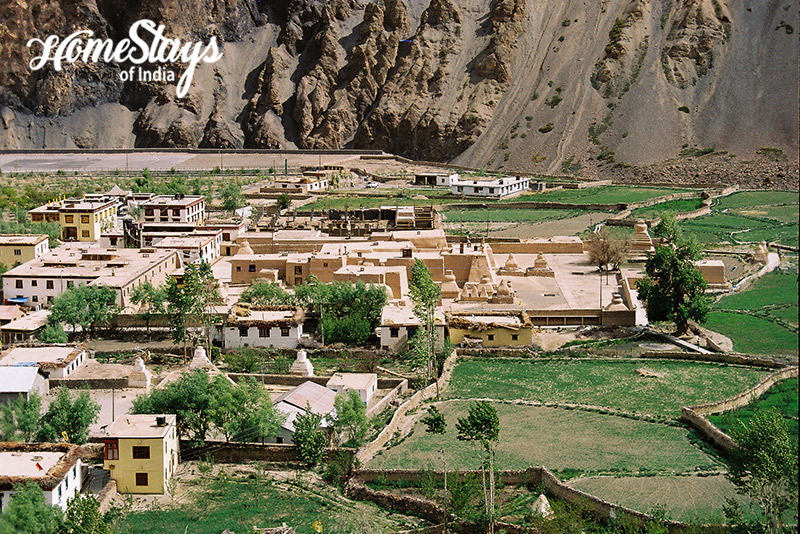 Tabo is known for India’s oldest monastery complex, celebrated its 1000th anniversary in 1996. The mud-brick walls of Tabo Monastery enclose some of the finest of all Indo-Tibetan art and called as Ajanta of Himalayas. 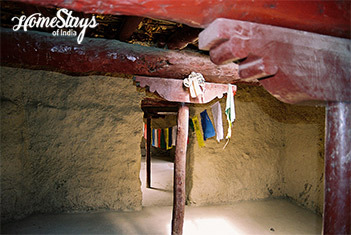 Hardly at a distance of 50 mtr from Tabo Monastic Complex, it’s a great mix of traditional and modern homestay. 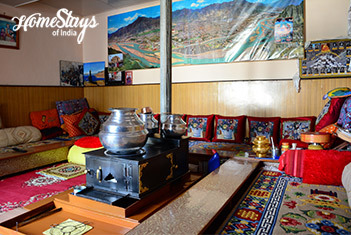 There are 3 traditional rooms around a sitting hall, a cultural room on one side and also a prayer room in the same area. A typical Spitian home setting it is! Come to the new building. 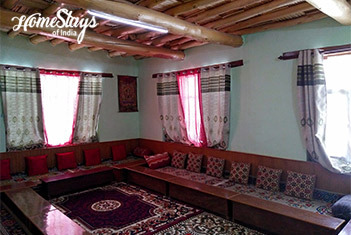 There are 4 rooms with attached bath and a café of its own which is already popular in Tabo. We grow organic vegetable in our own green house to serve you fresh and healthy food. Sonam is a well-educated tour guide and trekker by profession. He loves to serve his society; help to run a school, support local handicraft, spread words about cleanliness, hygiene and does many other social things. Since we have our own café, food is a big affair. You may have Tsampa, Porridge, Parantha with curd or tea, Tibetan Bread with butter or jam and Omelet in breakfast or can choose anything from our rich menu. Dinner can be Momos, local Pasta (Potato, Phaktse), Indian and Spitian food or anything from Italian and Israeli menu. If you like sweet, ask for Tsampa Cake (Phemar), Banana Toffee, Custard, Chocolate Tsampa Ball. Dont forget to order a coffee. We are the best. 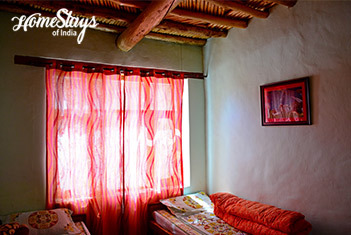 If you are going further to Spiti Valley check homestays in Spiti Valley.